The bio of Alexander McCraken | Launceston Then! Alexander was born in 1839 in Ayrshire, Scotland. He came to Launceston at the age of 17 on May 29th, 1856 to join his brother David, who was conducting a drapery business in Exeter Street. In those days the easiest way to travel the distance from Scotland was by boat, in which Alexander took. At Plymouth, where he landed, an incident occurred which impressed the visit on his memory. Having no money in his possession other than £1 notes, he tendered one to the lady in charge of the hotel. To his surprise she refused it and he found it necessary to enlist the services of a policeman to direct him to a bank where he was able to change the note for cash, but strangely enough he only received 18s. for it. Having settled with the landlady he took a seat in Strike’s Mail Coach which at that time ran between Launceston and Plymouth, via Saltash and Callington. When, after a tiring journey, he arrived at Launceston, he found the town “en fete,” the occasion being celebrations in connection with the declaration of peace with Russia. It was about nine at night and on mixing with the crowd he made his way to the Walk, which was prettily illuminated. Dancing was in full swing, the evening being given up to enjoyment. The town had been, as it was then termed, gaily decorated, trees being set up in Broad Street and High Street and the town generally having a holiday appearance. In Alexander’s early days in the town the only means of covering the distance between Launceston and Exeter was by coach. When it was necessary to go to London to do the buying, the coach journey took two days each way. Alexander spent the first three years travelling around the district selling for his brother, but on David’s death in 1858, he took over the business. 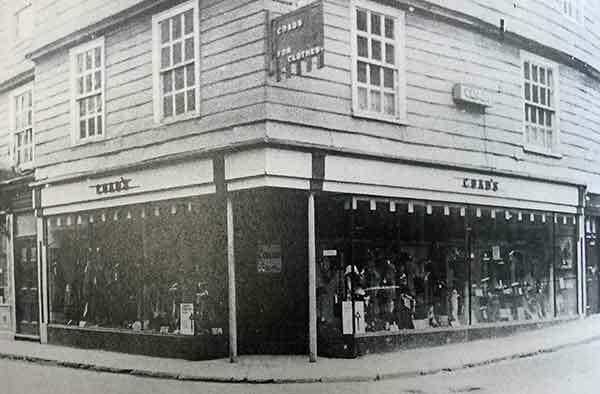 In the early 1870’s he moved to Church Street and took over the business of William Coad, draper and the premises (below), which he occupied until his retirement in 1910. He had entered into a partnership with John Veale, trading as drapers and tea dealers but this was dissolved on October 7th, 1881. Alexander married Mary Pope in July 1870 at Launceston and they had two children a daughter Louie born in 1874 and a son, William Pope born in 1876. Mary died in 1881. He remarried in 1885 to Alice Maud Radford at Axminster . For 28 years, Alexander, who was an exceptionally good walker, covered at least 100 miles every five days in the week.. In latter years, however, he made use of horses. When the great blizzard of 1881, Alexander was on his way to Lydford and the snow was driving so terribly that he had to take shelter and could not proceed any further. The fall was so heavy that it was necessary to cut a way for the postmen. Alexander took a keen interest in town life and on two occasions sat as a member of the town council, even though he had no aspirations in that direction, but after great pressure had been brought to bear on him by a deputation, he agreed to contest an election with W. L. Powell (at that time the editor of the Cornish and Devon Post), the sitting member. Both candidates polled the same number of votes and the Mayor (Dr. Willie Thompson) gave his casting vote in favour of Alexander. He was a staunch Liberal in his political views and always took what was described as an intelligent interest in the political life of the country. At the end of December 1928, Alexander went down with bronchitis and after suffering for three weeks passed away on January 12th 1929. 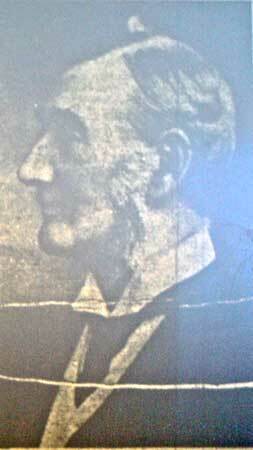 His funeral service was held at the Congregational Church in Castle Street and was conducted by Rev. A. G. Davis.